It is fair to say that if a quilter does not have a variety of works in progress, something is gravely wrong! If this statement is true, my life is ALL KINDS of perfect! I have so much and then some! The cold grey days of Winter have prompted new projects left and right for me. This week I have added to my rainbow New York Beauties. This is block 0. The free patterns for these blocks can be found by visiting Ulas Quiltseite. 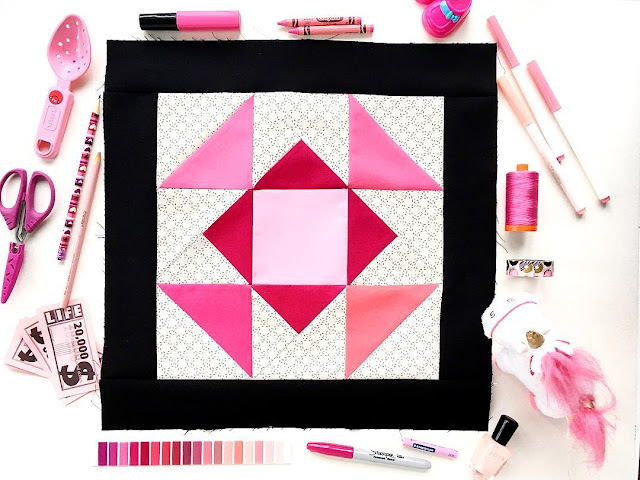 If you are new to paper piecing or are looking for tips for paper piecing angles without pulling your hair out, please read How To Paper Piece Quilt Blocks. My methods are not what I consider to be tidy. I have a 'Sew and Throw' attitude! It makes a massive mess but overall it seems to work and keeps things hopping! My New York Beauties are Alison Glass Sun Prints for Andover and the background fabric is Robert Kaufman Essex Linen Metallic Fog. All of my blocks are pieced using Aurifil 50 wt thread. Another project I have started is The Quilter's Planner BOM. 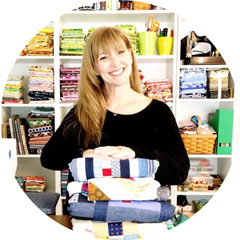 I recently shared a great list of 2018 Block of the Months and Sew Alongs for you to join to add to your fun for 2018. The Quilter's Planner BOM starts off with this beauty! It took all of my strength not to fussy cut the center but I managed to not only to put the perfect images away ( I had four chosen and a massive mess to prove it), I chose PINK! My tip for this week is one I have shared previously. It is possibly one of my all time favorites! 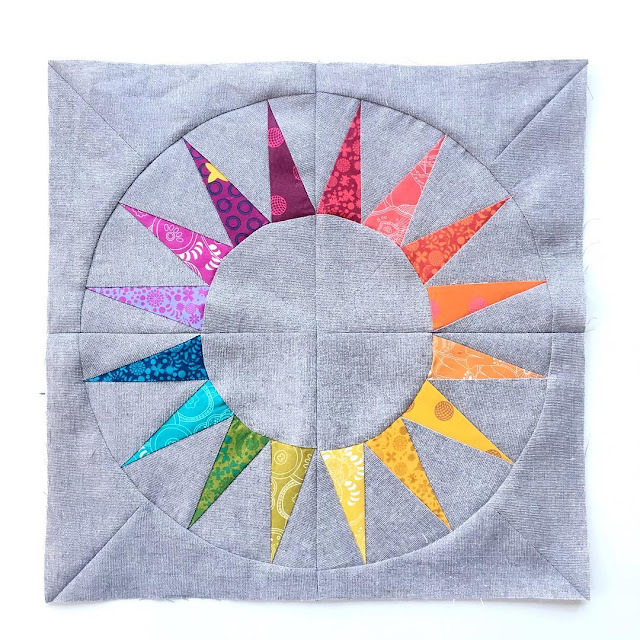 Using a pattern tracing wheel for marking fabric. No fuss and fret about lines reappearing. No trying to find a marking pen or chalk that may or may not wash out. Simple, easy and perfect! I would love to know what you are working on this week! 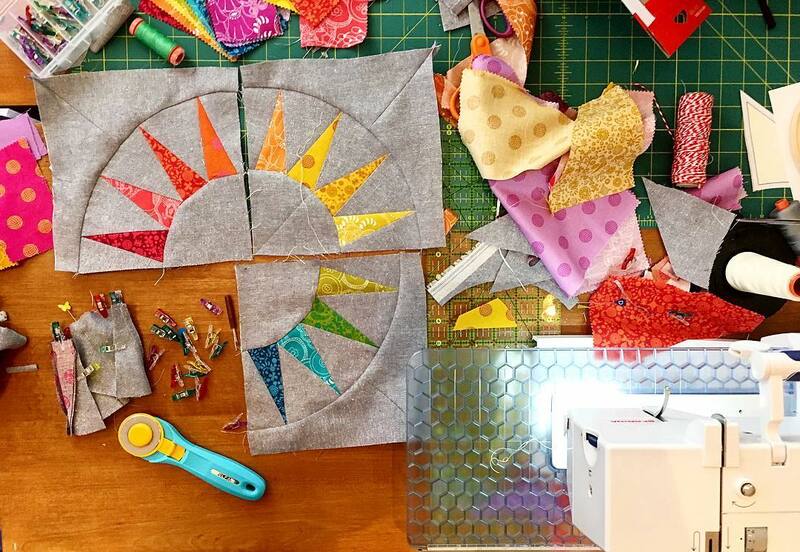 Loving your New York Beauty, paper piecing is the best! I just finished a word quilt that is a challenge for my guild. Making plans for my own New York Beauty, but can't decide on what fabric to use. Thanks for the inspiration ~ love your blog. The link to your paper piecing quilt blocks doesn’t seem to work.